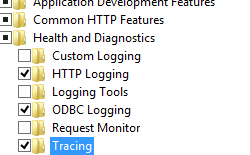 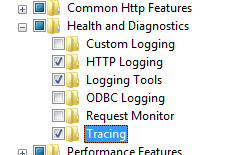 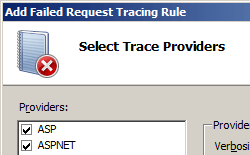 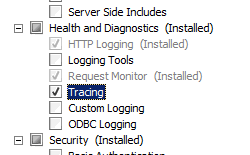 The <traceFailedRequests> element allows you to configure failed request tracing for a Web site, application, or directory. 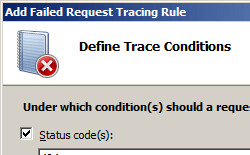 This element can contain a collection of <add> elements that define tracing rules, each of which specifies the extension of the request URL to which the rule applies, the trace providers and areas to enable, and the conditions that cause this rule to log the events. 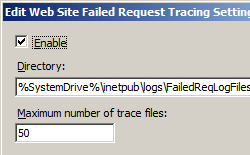 IIS 10.0 The <traceFailedRequests> element was not modified in IIS 10.0. 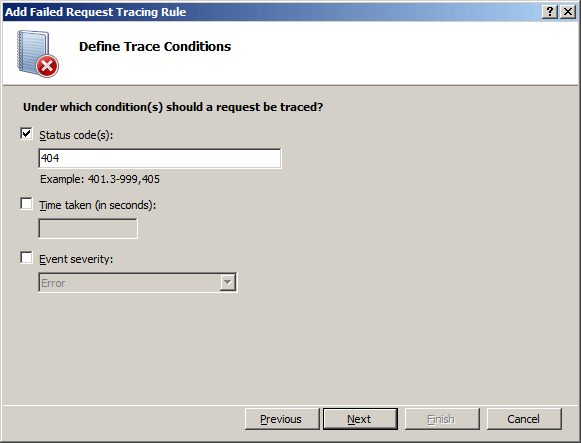 IIS 8.5 The <traceFailedRequests> element was not modified in IIS 8.5. 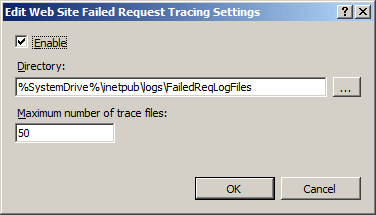 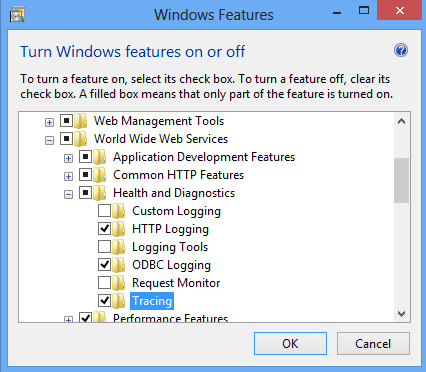 IIS 8.0 The <traceFailedRequests> element was not modified in IIS 8.0. 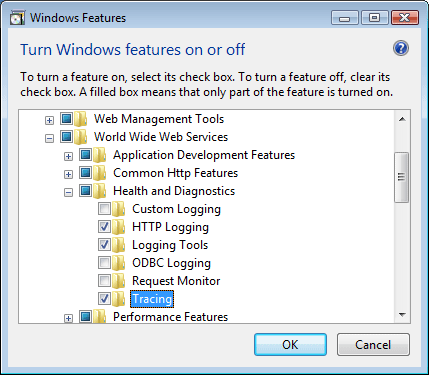 IIS 7.5 The <traceFailedRequests> element was not modified in IIS 7.5. 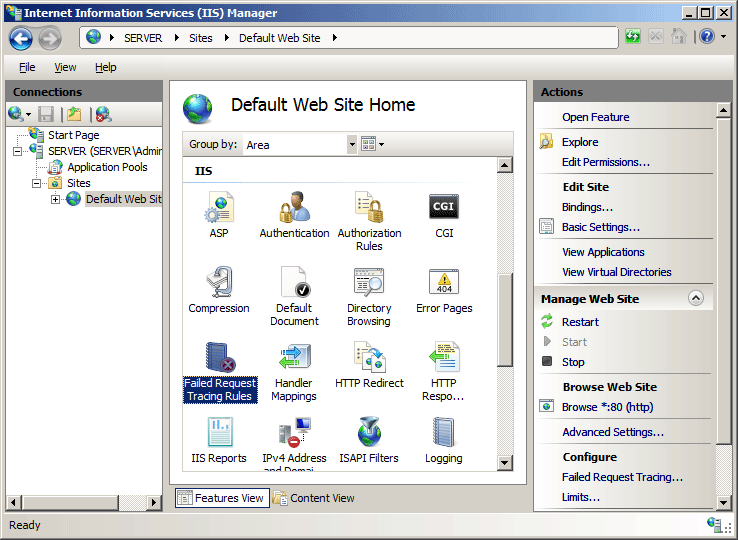 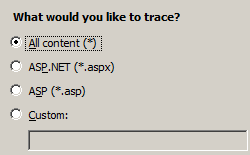 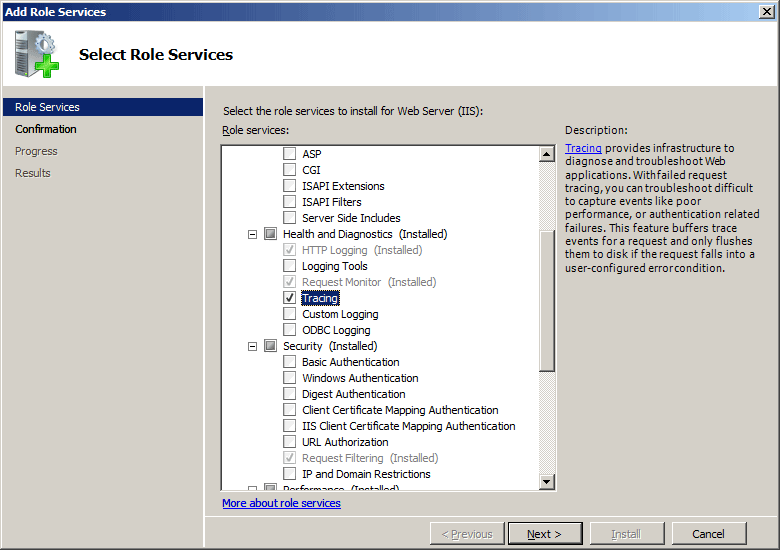 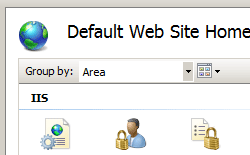 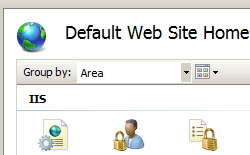 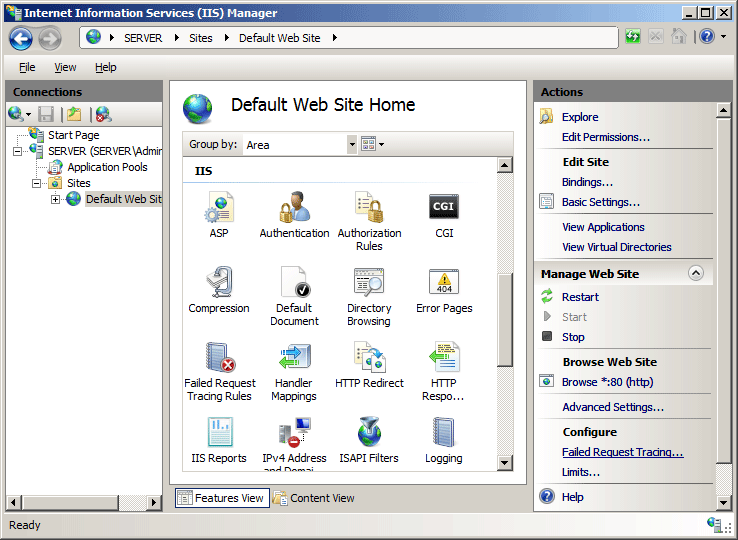 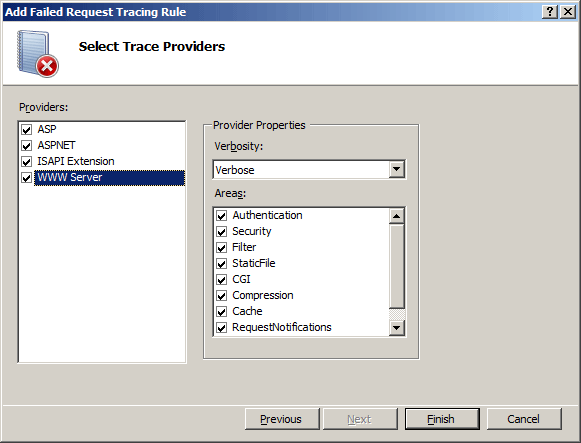 IIS 7.0 The <traceFailedRequests> element was introduced in IIS 7.0. 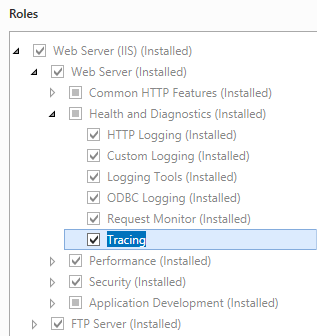 You can configure the <traceFailedRequests> element at the server level in the ApplicationHost.config file or at the site level, application level, or URL level in the appropriate Web.config file. 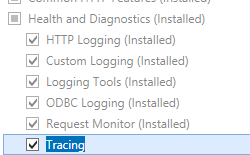 Adds a path to the collection of path definitions. 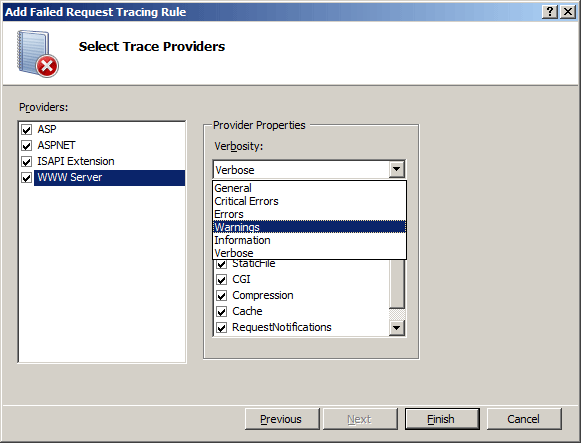 Removes a reference to a path from the path definitions collection. 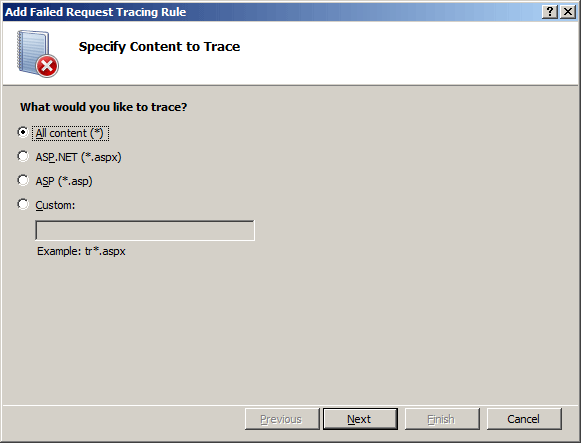 Removes all references to paths from the path definitions collection.